From time to time we have to let some of our young drafts find their way out to the big world beyond Clover Oaks. 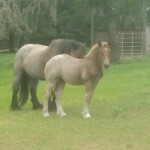 Here are a few of the horses we have sold in the past. Please keep your eyes open, or get on our mailing list so we can alert you when one of our young stock is available. NEW! FOR SALE! Meet Febe! 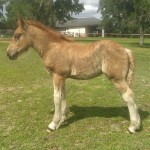 Febe is for sale, ready to for her new family.She will mature to aprx. 15.1 hands. 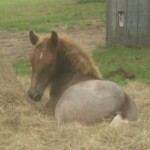 Her color is Strawberry Roan. 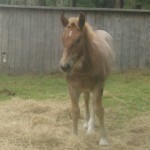 Be sure to give us your name and email address so you can be alerted when new horses come available.